Flowers For Part Shade. Six Of The Best. First of all…what is part shade? Most of the flowers I have in my cutting garden benefit from lashings of sunshine. However most of us have a shady corner in out cutting patches…but all is not lost…oh no no no. Here are my six favourite flowers for partial shade. 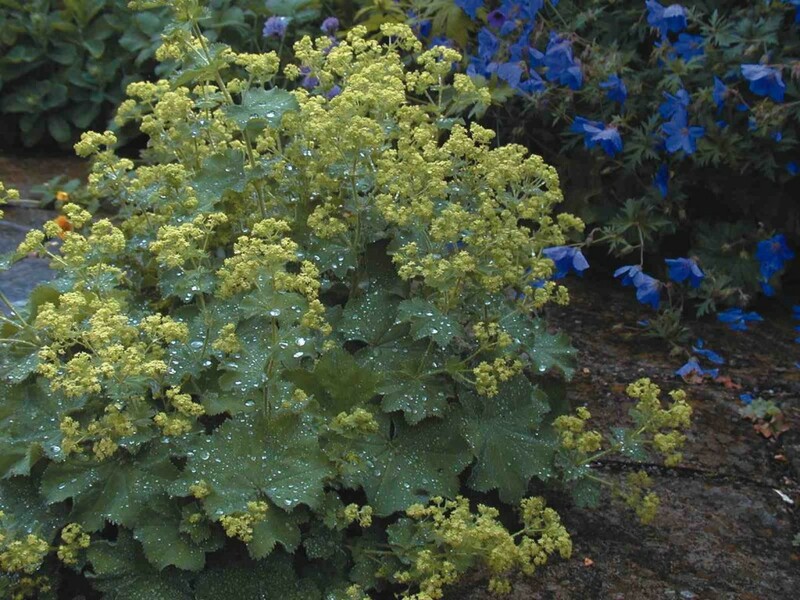 *Alchemilla Mollis, ‘Irish Silk’. You won’t get the slightest grumble from this lovely lady if you put her in part shade, in fact she may even thank you for it. A wonderful and charming plant with frothy, lime green flowers with gorgeous scalloped leaves. Nothing short of a gem. *Aquilegia, ‘Nora Barlow’. The RHS give this an ‘Award of Garden Merit’. The Higgledy Garden give it the…em…’Golden Shield of Immaculate Destiny’…which clearly beats the RHS effort at prize giving. We just love ‘Nora Barlow’ and she loves us. Seems as happy in full sun as she does in part shade. Good show Nora! *Astrantia, ‘Primadonna’. Most gardeners know Astrantia is happy in shade and ‘Primadonna’ is no exception. She is happy in a moist soil too. A real cracker as a cut flower…just lasts and lasts in the vase. If you are having just one variety of flower in your part shade…have this one. 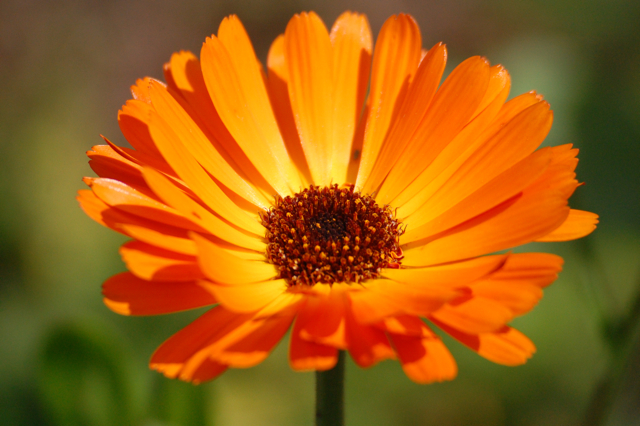 *Calendula, ‘Shinky Shonky’. I was surprised that Calendula did so well in the part shade…I thought it was a sun worshiper but I was wrong…mine have romped away. One of the happiest, simplest and most joyful flowers in the cut flower patch. I love it…’cut and come again’ too. Bingo! *Cerinthe Major. A very unusual looking chap is our Cerinthe…always reminds me of purple aardvarks for some reason. Looks great with orange flowers…I saw Sarah Raven had some grown with Eschscholzia ‘Orange King’ in Perch Hill…they looked awesome. They will self sow and come back to visit you every year. I wouldn’t be without them in the cutting garden. 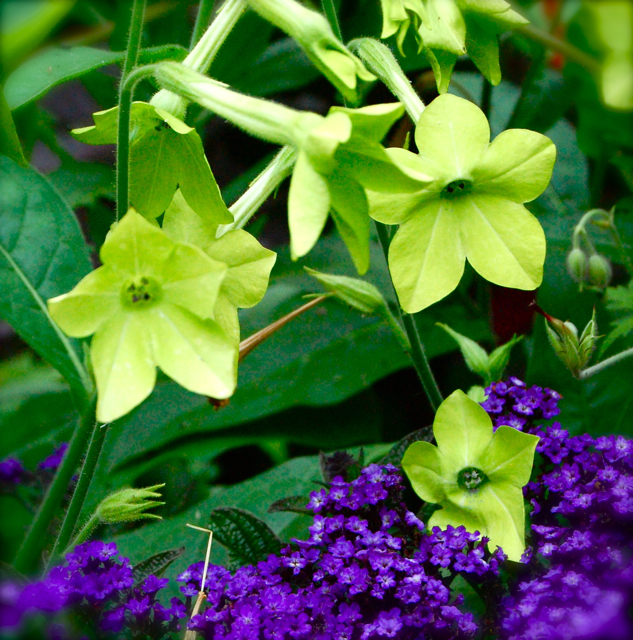 *Nicotiana, ‘Lime Green’. This Nicotiana is super useful as a zingy green foliage filler…ok it’s not strictly foliage but it’s still zingy and that is what counts. Nicotian ‘White Trumpets’ is another great one for part shade…more statuesque than ‘Lime Green’ but perhaps less useful as a cut. Both smell amazing after darkness falls. ‘BEE FRIENDLY’ COLLECTION OF SEEDS…TEN PACKETS FOR TEN POUNDS.